"New ""copy"" 3/4"" RCA type knobs, black w/white line, standard 1/4"" shaft." USED Rectangular Black & Silver Switch Cap for dbx 160, 161, 162, etc. 14.7 x 7.3 x 11 mm Black Replacement Switch Cap For All UREI UA 1176LN, Other Gear. Standard round black tapered switch button, for dbx and other gear. This is a common switch knob, used in many products. USED Round Silver Switch Cap for dbx 165, 165A, etc. 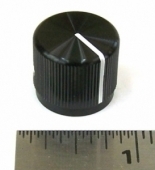 "New 3/4"" RCA type knob, black with white line"
Exact replacement rectangular 14.7 x 7.3 x 11 mm red switch cap for UREI 1176LN silver face versions, Eventide H910, FL201, PS101, and other gear. 2 1/4" Replacement Bass / Treble Knobs For UREI 1620 Mixer And Other Models. "Black/Green Lampless ""Winky"" Status Indicator Button For Standard Schadow Type Switches with .157"" (4mm) pin spacing. Color changes when button is depressed. Out is black, in is green. 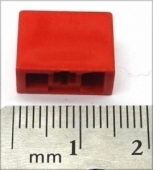 Can be used with standard size switches made by Schadow, NTE, etc. New NOS dbx 18 mm Black Knurled Knob for 160, 161, 162, Etc. Used Eventide 23mm (1") 4 Slot Alco Knob for Harmonizer, Phaser, Flanger, etc. Used Eventide 23mm (1") 4 Slot Knob for Harmonizer, Phaser, Flanger, etc. 16mm (5/8") high. For standard 1/4" shaft, fastens with hex set screw. Most of these are in poor condition condition with scratches and discoloration. Two SIze Collet Knob Install Tool (Spanner) for Small & Medium Collet Knobs. Works with all 9, 10, 11, and 14 mm collet knobs as used on SSL, dbx, Neve, Sifam, etc. Works on Elma, and other collet knobs. "Used Eventide 32mm (1.25"") Knurled Alco Knob for Harmonizer, etc." "Black/Orange Lampless ""Winky"" Status Indicator Button For Standard Schadow Type Switches with .157"" (4mm) pin spacing. Color changes when button is depressed. Out is black, in is orange. " 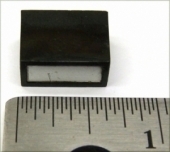 "Black/Blue Lampless ""Winky"" Status Indicator Button For Standard Schadow Type Switches with .157"" (4mm) pin spacing. Color changes when button is depressed. Out is black, in is blue. Can be used with standard size switches made by Schadow, NTE, etc." Standard round gray tapered switch button, for pro audio gear. This is a common switch knob, used in many products. 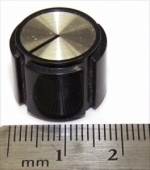 "Raytheon Round Knurled Knob with Silver Cap. .71"""" diameter, 1/4"""" shaft, with metal collar and 2 set screws. NOS knobs, in perfect condition. Most are in the original sealed packets." 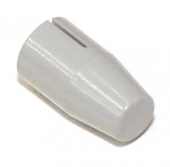 Standard round white tapered switch button, for dbx and other gear. 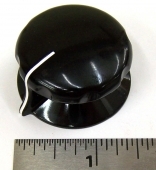 This is a common switch knob, used in many products. "Black/Yellow Lampless ""Winky"" Status Indicator Button For Standard Schadow Type Switches with .157"" (4mm) pin spacing. Color changes when button is depressed. Out is black, in is yellow. " 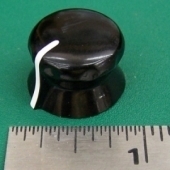 New Replacement Source Select Knob For UREI 1620 Mixer And Other Models. 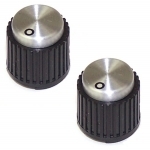 "Black 3/4"""" Machined Aluminum Knob, straight knurl, for pots and switches with a 1/4"""" shaft diameter." "NOS Black Elma Collet Knob / Cap, 1/4"" Shaft, 1 1/4"" Diameter, 11/16"" High"
"Machined 1.25"" Knurled Aluminum Knob w/White Line, For 1/4"" Shaft Controls." "Set Of Used API Inner & Outer Concentric Knobs, Brown Center, For 1/4"" & 1/8"" Shaft Controls"
Used API Outer Dual Concentric Knob, For 1/4"" Shaft Controls. "Gray/Orange Lampless ""Winky"" Status Indicator Button For Standard Schadow Type Switches with .157"" (4mm) pin spacing. Color changes when button is depressed. Out is gray, in is orange. Can be used with standard size switches made by Schadow, NTE, etc. "Gray/Yellow Lampless ""Winky"" Status Indicator Button For Standard Schadow Type Switches with .157"" (4mm) pin spacing. Color changes when button is depressed. Out is gray, in is yellow. Can be used with standard size switches made by Schadow, NTE, etc. Lot Of 8 Machined Aluminum Silver/Black Alco Knobs 1/4" Shaft Good Condition. Knob-T17/B21-006-GRY-L Gray Tapered Collet Knob with line, 21mm Bottom 17mm Top, W/Cap. K2-30. Knob-T17/B21-006-GRY-L Gray Tapered Collet Knob with line, 21mm Bottom 17mm Top, With Black Cap. "Gray/Blue Lampless ""Winky"" Status Indicator Button For Standard Schadow Type Switches with .157"" (4mm) pin spacing. Color changes when button is depressed. Out is gray, in is blue. Can be used with standard size switches made by Schadow, NTE, etc." Large Lot of Approx. 750 Used Engraved Switch Caps For Sony MXP-3000 Console Input Modules. "Black/White Lampless ""Winky"" Status Indicator Button For Standard Schadow Type Switches with .157"" (4mm) pin spacing. Color changes when button is depressed. Out is black, in is white. Can be used with standard size switches made by Schadow, NTE, etc. 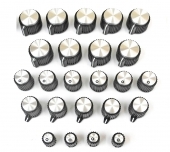 Full Set 24 New UREI 1620 Mixer Black & Silver Replacement Knobs (1/4" EQ SIze). "Alco Silver/Black Machined Aluminum Pointer Knob For Controls With 1/4"" Shaft." Spectrol Vishay Model 16 22mm Vernier 15-Turn Knob Dial For 1/4" Controls. 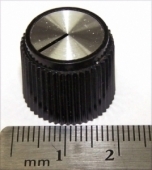 NOS Silver Wedge Knob For Focusrite Products, 14mm Diameter Round Skirt, 1/8" Shaft. "Gray/Green Lampless ""Winky"" Status Indicator Button For Standard Schadow Type Switches with .157"" (4mm) pin spacing. Color changes when button is depressed. Out is gray, in is green. Can be used with standard size switches made by Schadow, NTE, etc." 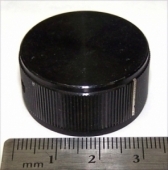 NOS Silver Wedge Knob For Focusrite Products, 18mm Diameter Round Skirt, 1/8" Shaft.